It’s not every day that city residents get excited to complete paperwork. But that’s exactly what happened when a group of behavioral scientists, design experts, government agency representatives, and DC citizens gathered for Washington, DC’s inaugural “Form-a-Palooza.” This event, hosted by DC Mayor Muriel Bowser and the new evidence-based policy group The Lab @ DC, sought to bring together experts and city residents alike to apply behavioral and data science to improve government forms. 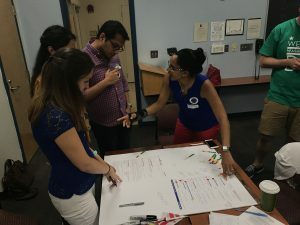 During the Form-a-Palooza, participants enjoyed a full day of instruction and hands-on experience illustrating how behavioral science provides tools that can improve how government programs and services function. Lab @ DC Director, APS member, and psychological scientist David Yokum described the many contributions psychological science brings to our understanding of how people fill out forms, ranging from how people are affected by default choices (e.g., opt-in vs. opt-out) to order effects (i.e., why items first in a list may be chosen more often). And the literature shows that when it comes to government forms, small improvements compounded over many citizens can make a big difference. “Moving a signature to the top of a form could save the government millions of dollars,” said Yokum, referring to research conducted by a team including APS Fellows Francesca Gino and Max H. Bazerman showing that the placement of a signature box on a form may influence honesty in responding (Shu et al., 2012). 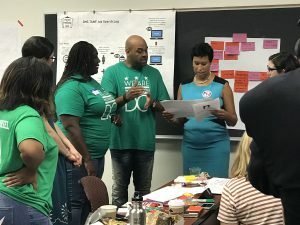 Washington, DC residents collaborate to apply behavioral science insights to improve government forms. In the first of two midday lectures, representatives from the Center for Plain Language emphasized the importance of considering people’s language perception and comprehension in the design of government services, especially when 45 million Americans are defined as “functionally illiterate” and read below a 5th grade level. Then behavioral economist and former White House adviser Cass Sunstein talked about behavioral “nudging” and the role that behavioral insights can play in improving government functioning and improving citizens’ access to government services. The Form-a-Palooza also had an applied component: Throughout the day, participants divided into groups and had an opportunity to provide feedback on several crucial government forms, including the DC Department of Motor Vehicles (DMV) driver license application form and DC’s basic business license form. Officials from the relevant agencies were on hand to provide insights into agency processes. “Psychological science can help create and implement government policy in so many ways,” said Barbara Spellman, APS Past Secretary and former Editor of Perspectives on Psychological Science, who attended the event and advised on improvements to a lead disclosure form. DC Mayor Muriel Bowser attended the event and charged attendees with simplifying government forms. “A few years ago, when Perspectives had an open call for papers to be part of a special section imagining a Council of Psychological Science Advisors to the President, we received over 200 abstracts from about 400 authors. APS members are ready to help. This event is a concrete example of something we can do,” Spellman said. The special section also featured a commentary written by Sunstein. In all, around 100 people attended Form-a-Palooza, which was supported by APS and the American University School of Public Affairs. 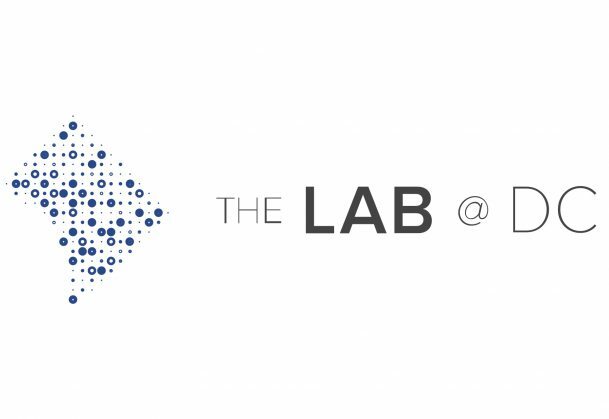 Lab @ DC scientists report that they are already being asked about the second Form-a-Palooza in DC, and about how interested researchers can hold similar events in their own cities or universities. To read more APS coverage on the Lab @ DC, please click here.